Let's learn the last part of the facial skeleton! We've already learned about the mandible, maxilla, nasal bone, vomer, palatine bones, zygomatic bones and lacrimal bones. 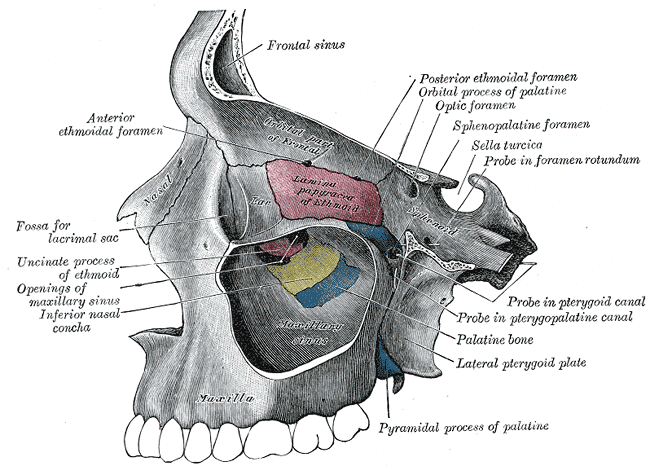 The last one is the inferior nasal concha. It's another one of the small hidden bones behind your nose area.